Alexandria Smith is a mixed media visual artist. 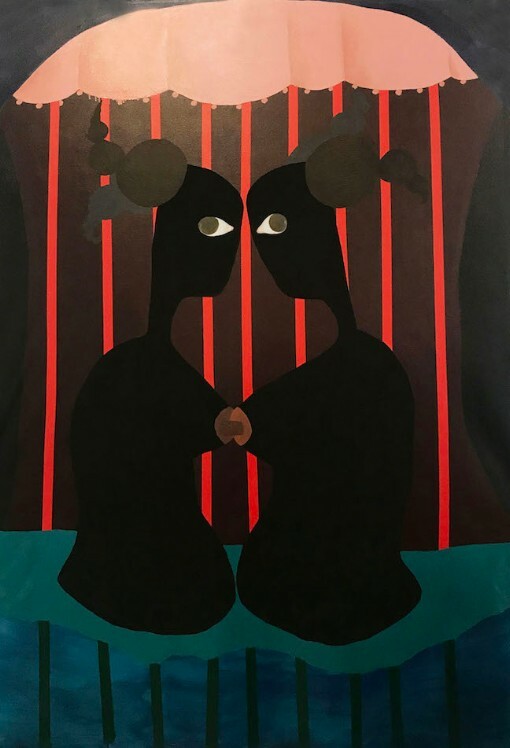 Interweaving memory, autobiography, and history, her mixed media work explores transformative girlhood experiences and illuminates the complexities of Black identity. 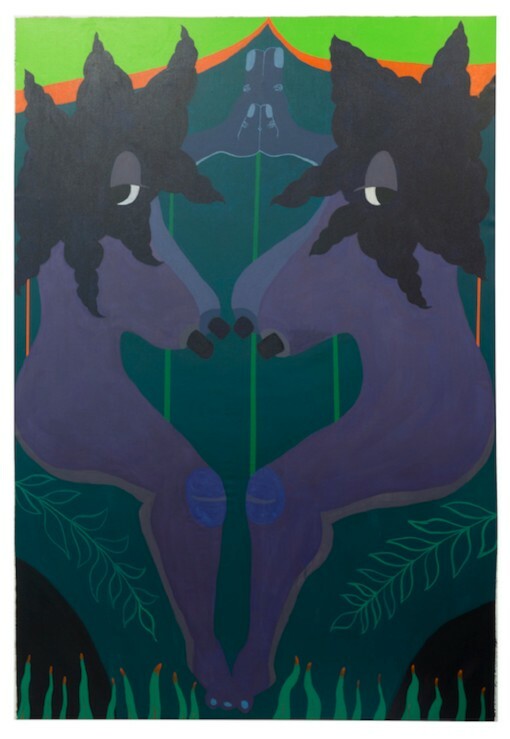 Through amorphous, hybrid characters, she obsessively deconstructs images of the female body: legs, hands, and pigtails, for instance, become characters and landscapes–a topography of her psyche. During her residency at Bemis, she will work on an immersive installation that incorporates freestanding mixed media cutout paintings on wood, mixed media sculptures, and large mixed media paintings on canvas that employ various printmaking techniques such as monoprinting, silkscreening, lithography, and digital printing.